Never before has a cat embodied the meaning of her name as Miss Fluffykins does. Floofy, poofy, fluffy…are just some descriptions for the magnificent coat on this three year old spayed female cat. Not just content to rest on her good looks, Miss Fluffykins is full of purrsonality too. Confident and sassy, she enjoys attention, but on her own terms. Miss Fluffykins prefers to be the Queen of a household and doesn’t want to share her palace with any other animals, or children. Are you ready to add some high-spirited floof to your life? 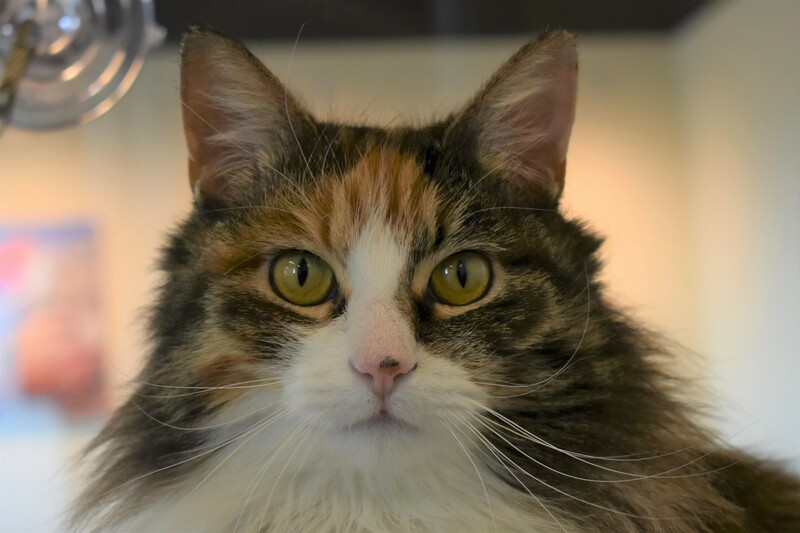 Ask for Miss Fluffykins ID# A858253.